How do you guarantee they eat the lunch you packed? No clue. But having a lunchbox with removable compartments for customizing meals and a freezer pack for keeping everything fresh is a great start. 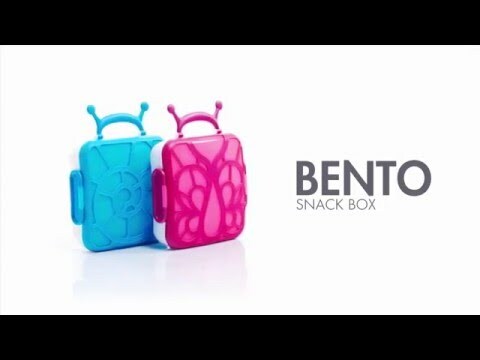 BENTO’s exterior stretchy bands hold small items like utensils and tiny hands can easily access the whole she-bang. Bonus: You pocket the lunch money. Wash thoroughly before initial use and after each use. Wash each piece separately.Top-rack dishwasher-safe or hand wash in warm, soapy water. DO NOT microwave. DO NOT boil or sterilize.